Aside from its sweet, earthy flavour, beetroot is hugely valued by Italian chefs for its colour, which they use to bring deep purple and bright pink hues to their dishes. 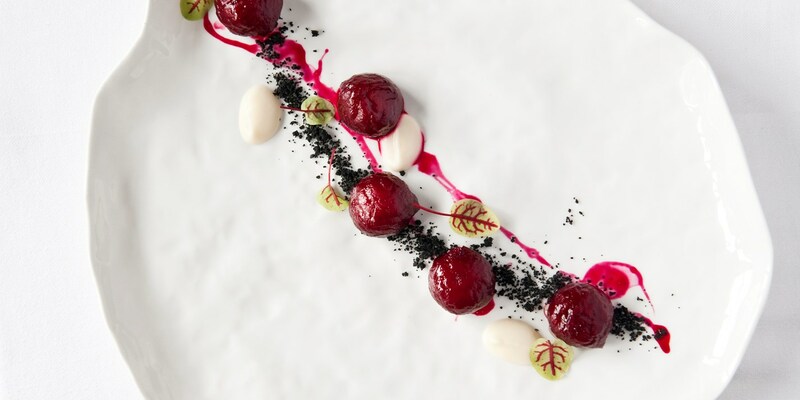 Beetroot can be used to colour pasta, as Emanuele Scarello does for his Beetroot pasta, red onion, yoghurt, oysters and caviar dish, or to do the same to gnocchi – check out this Beetroot gnocchi, beer soil and daikon cream by Norbert Niederkofler for an idea of how to do that. And there's plenty more you can do besides, whether it's beetroot sorbet, beetroot ice cream, beetroot sponge or simply as part of a healthy gazpacho. Looking for more beetroot inspiration? You've come to the right place – just scroll down for more ideas from our collection of beetroot starter recipes.